CHARLOTTE (Aug. 26, 2014) – The nation's largest wartime veterans service organization honored Lt. Col. Oliver L. North, U.S. Marine Corps (Ret), with its highest public relations award during its 96th national convention here today. Host of Fox News' "War Stories" and author of several books about military men and women at war, North was presented the National Commander's Public Relations Award for "raising public awareness about the honorable nature of military service and the sacrifices made by America's heroes." Addressing the 96th Annual National Convention in Charlotte, N.C., the president pledges to "do right" by veterans, their families.CHARLOTTE (Aug. 26, 2014) -- Speaking to thousands of veterans attending The American Legion's 96th Annual National Convention, President Barack Obama said progress has been made in correcting issues that became a scandal that has rocked the Department of Veterans Affairs since late April. But the president told a packed hall in the Charlotte, N.C., Convention Center that much more work remains to restore veterans' trust in their health-care system. 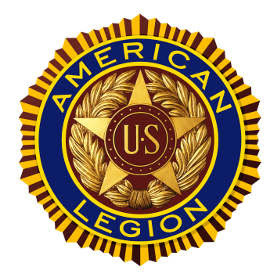 More than 600 participants have signed up for the motorcycle ride that raises funds for The American Legion Legacy Scholarship Fund. Sales Associate Company OverviewSetco Automotive was incorporated in 1982 and is a multi-national public company. We have 1000+ employees worldwide. We are the largest producer of commercial vehicle clutches in India with a large market share in the medium and heavy duty vehicles. We have quality certifications of TS 16949, ISO 14001 and OHSAS 18001. We supply to Fortune 500 marquee customers. We are the owners of the Lipe brand of clutches, and this entry level position requires some knowledge of truck parts. Lipe clutch is an upgrade to all the OEM style clutches with the best performance, customer service and warranty terms in the industry.